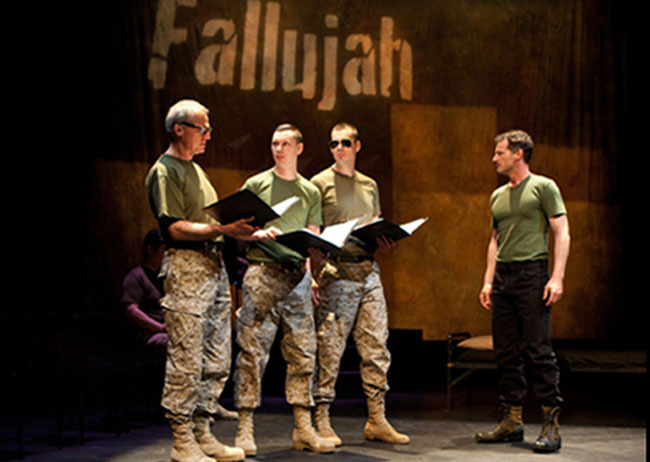 Fallujah is a contemporary chamber opera that excavates the human and social effects of the legacy of the Iraq War. Marine sergeant Philip Houston has not been able to face his mother since returning from battle. Over a 72-hour holding period in a veterans’ hospital following his third suicide attempt, Philip frequently flashes back to Fallujah, providing a glimpse inside real hearts and minds before one of the Iraq War’s biggest battles. The result is a heart-wrenching, mind-opening story from award-winning Iraqi American playwright Heather Raffo and Canadian composer Tobin Stokes. Ultimately, Fallujah examines who we become when bearing witness to violence, and the relationships that piece us back together.